The terms are divided by the customer experience. Multichannel selling is definitely an effective way to increase your company’s reach across channels, whether you’re selling online and in a brick-and-mortar location, or selling from an independent webstore and a marketplace. However, omnichannel takes it a step further by seamlessly integrating your channels to improve the overall customer experience. 2016 is going to be a big year for omnichannel, mainly because shoppers are looking harder than ever for the most convenient shopping option available. This can be noted from the rise of Amazon Dash buttons, social commerce, and more. A recent report from L2 indicated that pure play retailers are experiencing a slowdown in sales, and the only way they can escape it is with an expansion into the brick and mortar world. It appears that the only way retailers can scale their businesses is by expanding the setting of where they sell their goods. Adopting an omnichannel strategy appeases the convenience shoppers are searching for, and allows retailers to grow and increase their reach. Here are three different ways you can implement an omnichannel strategy successfully to get ahead in 2016. Listen to Bill Murray’s character in What About Bob and take baby steps to spark the change you want to see in your business. If you’re solely selling on one channel, start by trying your most popular products on an entirely new one. Brick-and-mortar retailers looking to expand into the digital universe should consider opening up shop on services like Shopify or Bigcommerce. Expanding beyond four walls is the easiest way to get your name out there, as you will minimize the limitations between you and potential customers. Pure play retailers should also start small. Pop-up shops are a great way to dip your feet into the world of brick-and-mortar retail. Retailers like Warby Parker and Trunk Club have taken the initiative and it’s paid off greatly for them. By giving shoppers showrooms to try products on and see them before they make a final purchase, they can shake those nerves about buyer’s remorse. Use multiple payment options like Square or PayPal to let shoppers purchase the products in-store and have them shipped to their homes. Or if you’re primarily a brick-and-mortar retailer and you’re out of stock on an item, place the order for them, and ship it to them for free. 2015 was chock full of crazy innovations the retail industry had never seen before (delivery by drone, social media shopping carts, and more), one could only imagine what’s going to come to be in 2016. One thing that will likely increase in popularity is mobile commerce. Its growth rate shows no sign of slowing down, and it made up 49% of all web visits on Cyber Monday. Make sure your site is optimized for mobile, so that Google’s search algorithm will favor you. Social commerce also saw a spike of popularity in 2015, hinting at major growth in 2016. If any social channel is primed for growth, it’s going to be Twitter. Last year, the social media giant signed a huge deal with Shopify to allow its merchants to sell on Twitter, and I think retailers should be open to moving into the social scene. If shoppers are looking for a convenient experience, what’s more convenient than buying an item without even leaving the social media site they’re browsing? Tech companies have been making a major push to a new channel, one that is mostly untapped by retailers: virtual reality. 2016 might be the year we can use virtual reality to place ourselves in a store, and get a better view of products. If it improves the customer experience, retailers should try to capitalize on it. By offering 3D imaging on products, consumers can get an idea of the size and scale of items and get more confident about making a purchase. No matter what channel you’re selling on, you have to make sure the customer is treated as if you were directly in front of them. Take cues from what’s in their shopping cart and use it to gain an understanding of their sense of style. It’s becoming easier to do this in a digital setting with the help of data, and consumers are starting to expect retailers to know them. 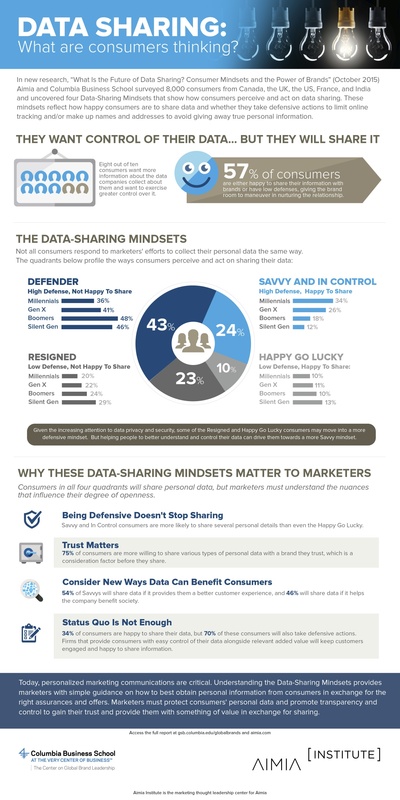 Roughly 54% of consumers will share data if it provides them with a better experience online, and 48% of shoppers believe that brands should make spot-on recommendations. No matter what channel the consumer is shopping on, you have to be ready to offer them an unforgettably convenient shopping experience. Retail channels are becoming more integrated every day because it’s difficult to succeed when channels aren’t working together. Omnichannel commerce is becoming the norm in ecommerce, and combining customer data with technological innovations is the best way to win omnichannel in 2016. German ecommerce pure play Zalando is learning from the Chinese market, offering stylist consultations by IM or phone call, unique social interactions and three-hour local delivery. It’s part of rethinking the ecommerce model and blending online and offline to create a viable ecosystem, rather than simply an online shop.